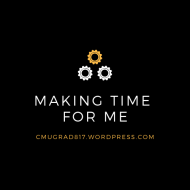 Posted byMaking Time For Me February 10, 2017 Posted in#Blog, 2017 Themes, MakingTimeForMeTags: #Blog, #bloggingstats, #blogstats, #posts, blogging1 Comment on 1000 Posts!! This came into my time hop today. One year ago I hit 50 WordPress followers! Today I’m at 941. Thank you to each of you that follow, read, share and comment. I’m so proud of all this blog has done and all there is left to do. Happy Sunday! Posted byMaking Time For Me January 15, 2017 January 15, 2017 Posted in#Blog, 2017 ThemesTags: #bloggingstats, #blogstats, #followers, #makingtimeforme #ilovewriting, blogging5 Comments on 1 year ago today!